You have to be confident and shameless while crowdfunding. Priyanka Agarwal, Wishberry shares on how to succeed in crowd funding with Venture Intelligence in this interview. Priyanka also candidly shares how the team built Wishberry, raised funding from top angel investors like Rajan Anandan, on pivoting, and difficulties in raising capital for entrepreneurs operating in niche spaces not chased by VCs. Q: What does Wishberry do? 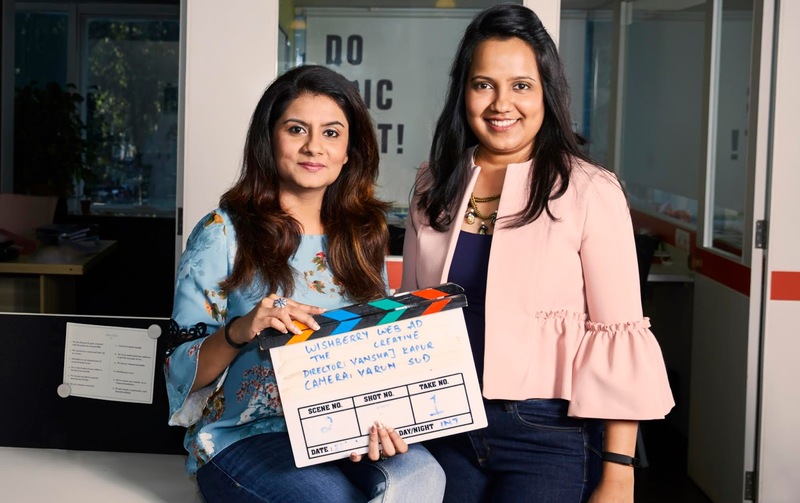 Priyanka Agarwal: In its latest avatar, Wishberry has pivoted into crowd financing of low budget films (INR 1-5 Cr). We are essentially trying to create an internet platform for investment opportunities for HNIs in films including Marathi, Tamil, Kannada, or films targeting the global diaspora. Given that you are building a marketplace, how did Wishberry solve the Chicken and Egg problem? Beyond the “all or nothing” model what did Wishberry do to pull in more artistes and investors? First, you need to divide our business into 2 things - Wishberry.in, the crowdfunding platform and Wishberry Films which is our finance business where we syndicate capital for creative projects. With Wishberry.in, we began by on boarding artistes with a condition that the first 25% of the project funding required should be from their own inner circle (family, friends and network) - only then shall the unknown circle fund them. So we got them to get their inner network to sign up on the platform and fund the initial portion of the project. Through time this had a ripple effect and the artistes’ work got recognition beyond their own network. It helped the artist build credibility with investors who would continue to fund the artist going forward in the future. In our seed round in 2015 we had raised funding from 44 investors, so we already had a catchment of HNIs who were ready to not only invest in Wishberry but also in our projects as well. Our investors became our customers for they got quick returns from investing in creative projects like films as against investing for 6-7 years in a startup. The IP also became valuable through time. In case of the Wishberry Films, we are doing it offline as we want build credibility before launching it online. We are curating a few films and pitching them to HNIs offline. Apart from being just a financial service, Wishberry Films will also look into the production, distribution, and marketing of the film so that we can control cost and quality. We can ensure that the film sees maximum revenue potential by cutting bloated budgets and maintaining transparency through all stages of the film’s life cycle. Successful examples of a few will help spread the word, get repeat backing and also assure new investors who are looking to get their feet wet in this asset class. The company has been through pivots in its journey - has this been an issue with investors? The company was incorporated in 2009. We launched the crowdfunding model in 2014 and the film financing launched in 2018. We saw these pivots as a natural progression of the company as we moved from funding for patronage to funding for profits. In its crowdfunding avatar, Wishberry raised more than Rs. 12 Cr for 400 projects via 20,000 funders, but we realized that this model won’t work for every creative project, especially for longer formats like feature which need up to Rs. 3 Cr in funding. Also, given the content boom in the country with platforms like Netflix and Amazon coming in and offering further revenue opportunity for film content, we thought it was only natural to expand into film financing while continuing to offer crowdfunding services. However, when we pitched to venture capital firms for Series A, they were conservative in investing in a company that had been through pivots. They were looking for a model which had been successfully implemented in other markets which wasn't true for us. We had only pivoted that year to film financing, and were looking to disrupt an industry which had been in existence for decades. Given that we were also in industry which was highly dependent on relationships we quickly realized that we needed strategic and patient money. Strategic investors brought in experience and relations to the business, making it a perfect match. How can one successfully raise capital through crowdfunding? It is very important for artistes to estimate the target amount they need for their project and plan the exact budget breakdown as to how the money will be used. This clarity gives confidence to potential funders. Honest pitches always work. Crowdfunding is a full time job and we tell all our artistes that they will have to dedicate at least a couple of weeks to prepare for the campaign, shoot a pitch video, and to start talking to their inner circle. It's also very important to have uniqueness to your pitch which helps people connect with it and want to be a part of it. It's not just the idea but also how you pitch it. At Wishberry, we have an in-house team of creative consultants who coach the artistes and guide them, but it is ultimately the artist’s own time and dedication that steers the ship. One advice that always works is - be confident and shameless while crowdfunding. If you need others to open up their wallets for your dream, you need to be confident enough to shout out from the rooftops about what your dream is all about. During the fundraising campaign, you need to aggressively go after your network. It's not an easy job to do crowd funding. Apart from the 2-3 weeks of preparation you need 1-2 months to run your campaign. How much of an issue has SEBI regulations on crowdfunding been for your company? SEBI is still formulating regulations on crowdfunding, which is why we see crowdfunding platforms register in Singapore and syndicate investments offline. It is also one of the reasons why we are building the supply side of Wishberry Films offline. We expect some clarity on regulations in the next 18 months post which we shall be pushing the investing side of Wishberry films online. In your seed round, you raised funding from the who’s who of Angel investors like Rajan Anandan, Sharad Sharma, Deep Kalra, Sunil Kalra, etc through the Letsventure platform. How did you kick off your fundraising process on Letsventure? How did you end up convincing so many stalwarts to invest in the company? While raising money on an angel platform it’s extremely helpful to have a lead/anchor investor. Having said that, most of our lead investors were syndicated offline and we only listed on the platform to raise the remaining 20%. Having Rajan Anandan and Sharad Sharma as our lead investors convinced other angels to back Wishberry. So how did you meet Rajan Anandan and Sharad Sharma? My co-founder Anshulika and I are very extroverted and are very good networkers. We had met Vijay Anand of The Startup Centre at a Goa event, who had shared that Rajan Anandan would be at an event in Chennai. So we flew down to Chennai to meet Rajan at the event. We spoke for 10-15 minutes, as he asked us about our vision, why we were building Wishberry, etc. He decided in that 10-15 minutes if he wanted to engage further with us in investing. Typically Sharad Sharma and Rajan Anandan invest together. Sharad also believed in the marketplace and crowdfunding opportunity - they are investors in LetsVenture. For them, it was just the team that they had to validate and I think that’s what convinced them. How much time did it take to close the angel round from first meeting to money in the bank? 6 months! Why did it take so long even though you had investors like Rajan Anandan and Sharad Sharma as lead investors? Well actually, we took one and a half months to pitch to investors, two weeks to sign the term sheet and a month to complete due diligence. The remaining three months were for just getting the paperwork done and coordinating with 44 investors to getting money in the bank. Also for your seed round why didn’t you pitch for seed funding like Blume Ventures, India Quotient, Kae Capital etc? I think we had reached out to Blume Ventures and a few other funds but I can’t seem to remember why it didn’t work out with them. How many colleagues were involved in fundraising effort? How did you manage business and fundraising together? During the seed round I focused in fund raising while Anshulika focused on the business. In Series A, both of us were focused on fundraising as it was going to be a harder sell pitching to strategic investors. We just doubled up on our time to getting both business and fundraising done. You just gotta do what you gotta do. What tips would you share with women entrepreneurs for fundraising? I would ask them not to sell themselves short as the ability to execute doesn’t depend on your gender. People tend to reach out to peers to get support from for networking, business, guidance etc. Are there any women focused organizations and networks you would like to give a shout out to? Why should it be any different for women? That just increases the notion of sexism. Go to the same people male entrepreneurs reach out to. Reach out to persons who are relevant to your business and ask them for advice or business. If they are sexist, move on and ask the next person. Don’t reach out just because organizations or people are more friendly to women - that is not the way to think about it. What are your thoughts on the Saha Fund? Did you pitch to them? No, we did not pitch to them. At the time of the seed round, they were not around and for our Series A round, we decided we wanted strategic money. 3 years later after your first angel round, you raised a bridge round? Was it a miscalculation of the runway? No, it was the pivot of the business. How did you plan your Series A funding? We had planned to raise our Series A around 2017 and we successfully signed the term sheet in the same year. Paperwork and closing the round with a strategic investor took a little longer. It took us about 9 months from first pitch to money in the bank. We spoke to 5 venture capital investors and quickly realized that financial investors were very uncomfortable in investing in us. So we reached out to about 5 strategic investors including Reliance Entertainment. We quickly found the right investors, but closing the round took much longer. How were you introduced to Reliance Big Entertainment? The benefit of raising a seed fund from 44 investors was that we had the support of 44 investors and their network. We were looking for strategic money and there were only five to six such companies in India so we reached out to our existing investors to help connect us to relevant people in these companies. We were lucky with Reliance Big entertainment because a senior executive of Reliance ADAG had met Mohandas Pai at his son’s wedding and they ended up discussing about Wishberry. They happened to show interest in Wishberry and we connected with them post the wedding. We also talked to other similar companies as well which we connected through our investors. What is Reliance Big bringing to the table? What is the expectation from Reliance? Well obviously, Reliance hopes we do very well in financially backing films. We are hoping they can share their expertise in evaluating budgets, scripts, distribute our films, talking to Netflix/Amazon, etc. Raising funding from a strategic investor - does it limit the way Wishberry operates? As long as the investor doesn’t hold 26% or more, they do not have much control over prospects of future funding or exits etc. If the relationship is fruitful, why wouldn’t we want to work exclusively with Reliance? So it doesn’t limit us in any way and it’s also very important to have that discussion upfront of what is expected from each other. What was the most quoted reason why investors said no? Apart from the lack of a global model, not enough traction was a reason why they turned us down. Also as an industry, media and entertainment hasn’t seen much change, thus the skepticism. What about global success like Kickstarter? Why didn’t it convince investors here? Well, Kickstarter started off as a creative project funding, but hardware and tech was a much bigger success for them. Even though Kickstarter has raised institutional funding, investors didn’t believe a company at that scale can be built in India, with the educational climate that exists in the country. Can you share instances where you had to say no to an investor? Why? When we were evaluating multiple production houses, we had walked away from one of them as they had a negative reputation with filmmakers - who are our primary clients. Varatharajan M is Manager at Venture Intelligence, India's leading provider of data and analysis on private company transactions, valuations and financials in India. If you are looking to raise Seed or Venture Capital funding - the VC Handbook is a great resource you can use to identify best funds to reach out to. It also has tons of gyan on how to raise capital.